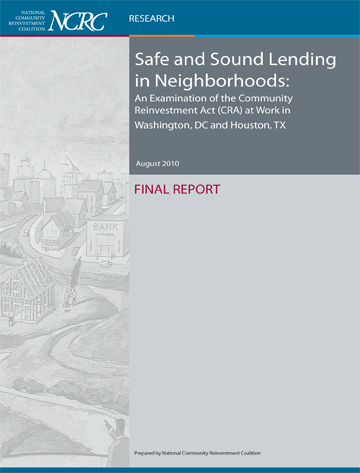 A new study by the National Community Reinvestment Coalition finds that Community Reinvestment Act (CRA) regulated lenders avoided significant decreases in lending accompanied by the current foreclosure crisis and severe recession. The study compared home and small businesses lending and bank branching in two major metropolitan areas (Washington DC and Houston) over the volatile time period of 2006 through 2009. 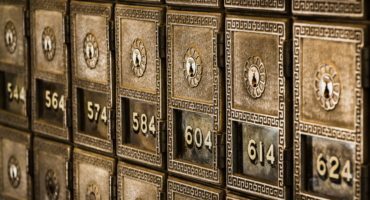 The Community Reinvestment Act (CRA) requires banks to serve communities, particularly low- and moderate-income communities, and by statute requires the lending be safe and sound. • Consistent with Federal Reserve research, NCRC reveals that CRA-covered lenders in geographical areas where they are examined issued a small percentage of high-cost loans. CRA-covered lenders undergoing CRA exams in Washington, DC and Houston made only 4.3 percent and 12.5 percent, respectively, of the high-cost loans in 2006, a year of heavy subprime volumes. • Financial institutions decreased their lending but lenders not covered by CRA decreased their lending to a much greater extent. 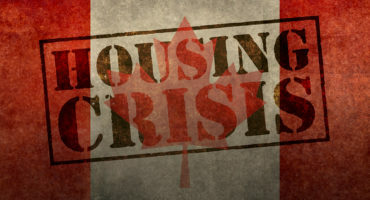 In Washington, DC, for example, CRA-covered banks issued 97,216 prime home loans in 2006 and 61,178 loans in 2008 (a drop of 37 percent over the time period). Non-covered CRA institutions issued 52,960 prime loans in 2006 and 30,973 in 2008 (a drop of 41.5 percent). • Many large mortgage companies went out of business due to non-performing and risky loans during this time period. For example, of the 169 lending institutions that went out of business in 2007, 167 were independent mortgage companies. In contrast, banks with a greater degree of regulatory oversight were more successful in surviving adverse economic conditions and maintaining loan volumes. Regulatory oversight of CRA lenders thus helped mitigate the destabilizing effects of declines in credit. The study also found that CRA’s impact on a neighborhood level has been uneven. 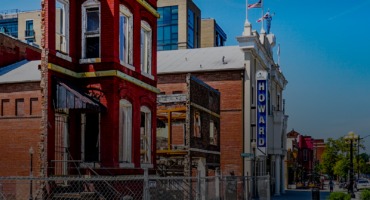 CRA-covered lenders in the Washington, DC metropolitan area generally reached a larger percentage of homeowners with prime home loans in modest income neighborhoods and communities of color than predominantly white communities and upper-income neighborhoods. In the Houston area, however, this was not the case. Moreover, in both Washington, DC and in Houston, disparities in small business lending and bank branching were evident by the race and income level of neighborhood.